It’s been a least 3 weeks since my last post. I try to post a recipe every week, but I have been so busy lately, blogging is sadly not at the top of my to-do list. And since I’ve been so busy, the cooking has to be easy, fast but still delicious. So one evening, I was looking through my fridge/freezer in search of inspiration. As a side note, I must add that it is not always easy to be “inspired” after a long and busy day at work. To my surprise, my few brain cells still left functioning at that point, did manage to come up with an idea. 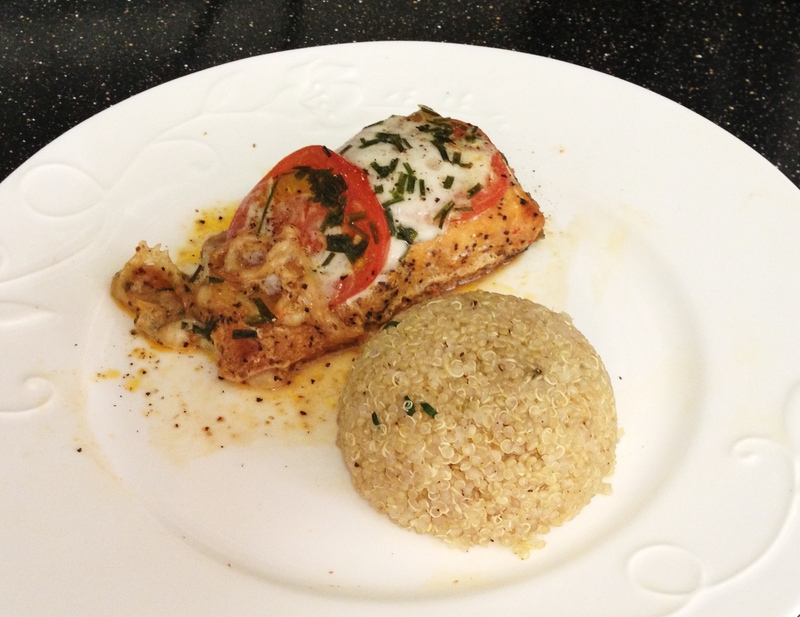 Two pieces of frozen salmon, tomatoes and mozzarella, et voila! 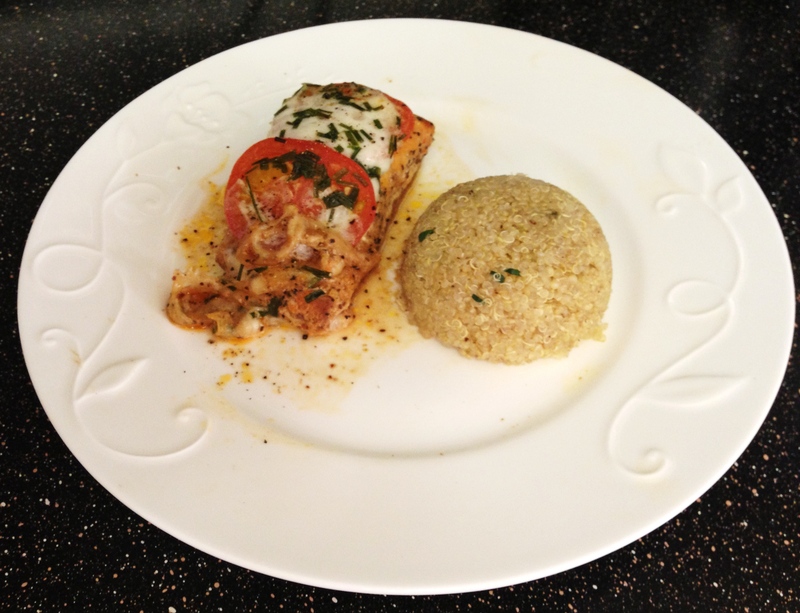 I wasn’t sure about “marrying” salmon and mozzarella, but I took the risk, and turned out it taste pretty awesome! I do hope you guys enjoy this recipe. Keep it in mind for those busy days when you get home and don’t feel like thinking! Cut 2 pieces of parchment paper. Place each salmon piece in the center of the paper. Add a slice of tomato, a slice of mozzarella. Continue alternating a slice of tomato then mozzarella. Add chopped chives. Movie to watch after dinner: Star Trek (2009). Yes, I do really like these new Star Trek movies. Lots of cute guys saving the world, what’s not to like? Also, this definitely looks delicious, and not something I’d have thought to make myself. I bet the fresh mozzarella makes a big difference, as it’s much lighter to go with the salmon. I’m glad we’re on the same page for that movie 😉 Thanks for still reading, even after I disappeared for a few week!